Charity Care is the child theme of Benevolent Free WordPress theme created to help your non-profit organization raise funds for your cause. This free charity WordPress theme is clean, modern, and easy-to-use. You can use Charity Care to create a professional looking website quickly for non-profit, charity, INGO, NGO, trust, foundation, and other organization. Charity Care is the child theme of Benevolent Free WordPress theme created to help your non-profit organization raise funds for your cause. This free charity WordPress theme is clean, modern, and easy-to-use. You can use Charity Care to create a professional looking website quickly for non-profit, charity, INGO, NGO, trust, foundation, and other organization. The theme is intuitive to use and works seamlessly on any devices so that you can deliver your organization’s message to a broader audience and the visitors can donate funds to your cause with thoughtfully paced donation buttons. 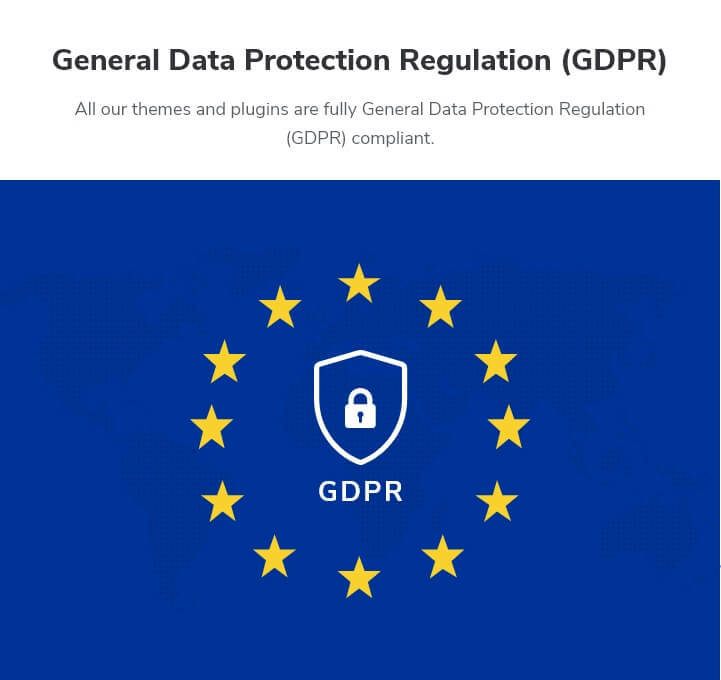 Making the theme look like the theme demo can consume a lot of your time, so we have made everything ready for you so that you can focus your time on your social cause. You can import all the images, text, and settings from the live demo of Charity Care with a click for free and kickstart your website with ready-made content. This feature will save you tonnes of hours. People spend most of their time on their smartphones which means a lot of your prospective contributors/donor will browse your website from a phone, so your website needs to be mobile friendly. 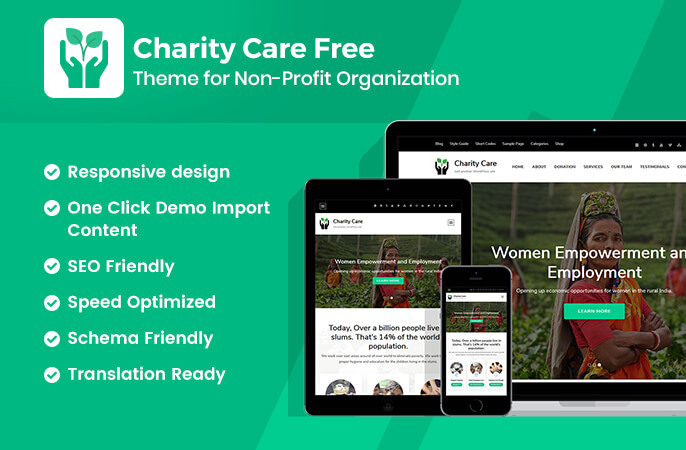 Charity Care is a fully responsive mobile friendly WordPress theme that adjusts itself to any screen sizes so that your website looks perfect on every device and your visitors get a smooth user experience even on a mobile phone. On top of that, Charity Care also passes the Google mobile-friendly test which means you get SEO benefit as well. We have put our expert SEO team’s knowledge and expertise into the development of the Charity Care Free WordPress theme in such a way that search engines can easily find your website and rank it above your competitors on search results page. The theme will give you an edge to help you outrank your competitors. Who likes slow websites, right? We have optimized the theme is such a way that user can experience a faster browsing experience with Charity Care. Charity Care is fully compatible with Give Plugin. You can easily manage donations and users can easily donate using the theme. You can encourage users to donate to your charity using an attractive homepage section that is optimized to help users give easily. The section also displays donation goal and status. Charity Care has an advanced slider on the banner section so that you can show what matters most on the top part of your website. Charity Care comes with extensive theme documentation to help you setup your website. Just follow the step by step guidelines on the documentation and your website will be ready in no time. Charity Care has ample space for widgets. You can add and manage the widgets you require without compromising the design of the theme. Widget ready design and code allow you to easily customize your website as you desire. Charity Care is clean and has an eye-catching design that will mesmerize your visitors. The theme will create a good, long-lasting impression on your users. Charity Care is cross-browser compatible, which means the theme will work seamlessly on your favorite browser. The theme is tested on Chrome, Firefox, Internet Explorer, Edge, and Safari. Charity Care allows you to display your social media links on your website so that your visitors can find you on social media. Social Media on your website will also help you boost your business’ engagement. The theme also supports Russian and Chinese social media like OK, VK, Zing, and others. Want your visitors to donate or take some actions to your cause? The CTA section of this theme will help achieve that. Charity Care has a breadcrumb option that can help your visitors to navigate easily on your website so that there is maximum engagement. With the perfect font type, size, spaces, and contrast, Charity Care makes sure that your content is easy on the eye and your visitors enjoy reading what you have to say. Don’t let the language barrier come between you and your website. Charity Care theme supports localization so that you can use the theme in your local language. Do you use right-to-left (RTL) scripts like Arabic? Well, worry not! Charity Care supports both LTR and RTL languages. You can write content with confidence! We won’t charge you for using Charity Care WordPress theme. And, there’s no catch! You can easily add your own logo on your website using Charity Care theme. Want to modify some CSS effects or change the color of a section? Charity Care allows you to add CSS effects right from the customizer easily.